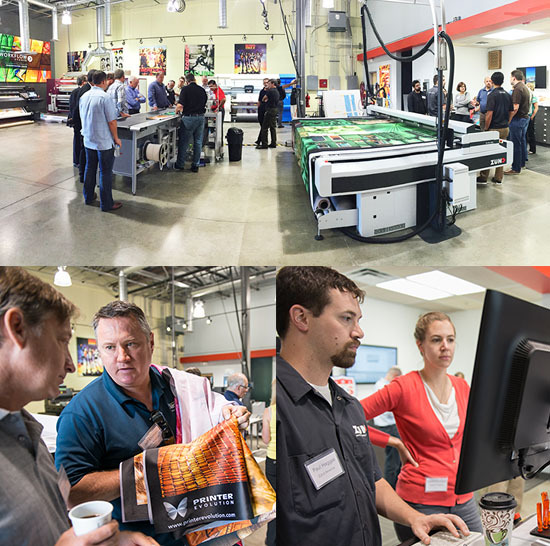 A unique educational event for grand format print professionals in the sign, graphics and display industries. Proudly hosted by Global Imaging. Workflow Studio is the only facility of its kind in the U.S., boasting cutting edge equipment from top grand format manufacturers serving the sign, graphics and display industries. 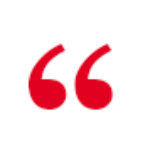 It is unique in its ability to emulate a complete grand format production environment, offering visitors a consultative experience they cannot find anywhere else. Let us foot the bill for you to attend an exclusive all expenses paid event. Enjoy two days of educational presentations, product demonstrations and valuable networking with other executives. 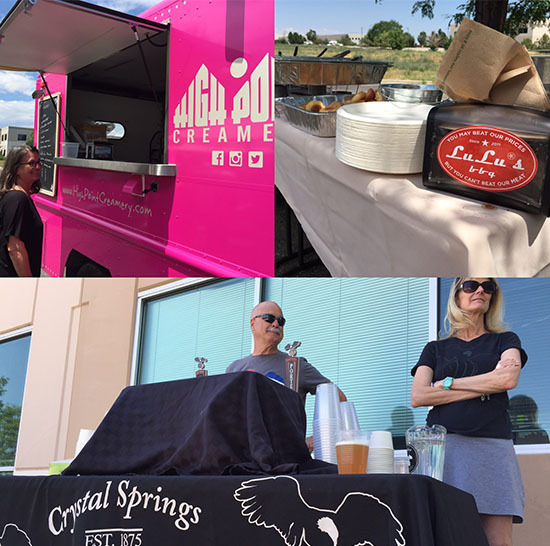 We will do all of this and treat you to excellent mountain views, serve some killer BBQ and top it off with some homemade Sweet Cow Ice Cream and craft beer from Crystal Springs Brewing Company, one of Colorado’s best microbreweries. Great facility, great people. I felt welcomed and learned a lot. I'm very grateful for the knowledge you brought! Our VIP Events are small gatherings of industry leaders. An exclusive group of guests are invited from across the country, all at the Owner, C-level or Management level in addition to manufacturer representatives from each product line. Our guests always find the networking opportunities to be one of the highlights of this event. How well do you know the tools in your toolbox? The large format pay for print industry has experienced massive evolution in the last two decades, starting with printed images on paper or vinyl into the current ability to custom construct and manufacture almost any shape, design or structure imaginable. With printed textiles, SEG, extruded aluminum, UV and now the up and coming grand format 3D printer revolution, your customer’s imaginations won’t have limitations in today’s modern print shops. How much do you know about the current and future offerings in large format print? Walk away with more than just a sample kit. Everything you need to know about sewing and finishing and how effective and simple it can be to execute in-house. 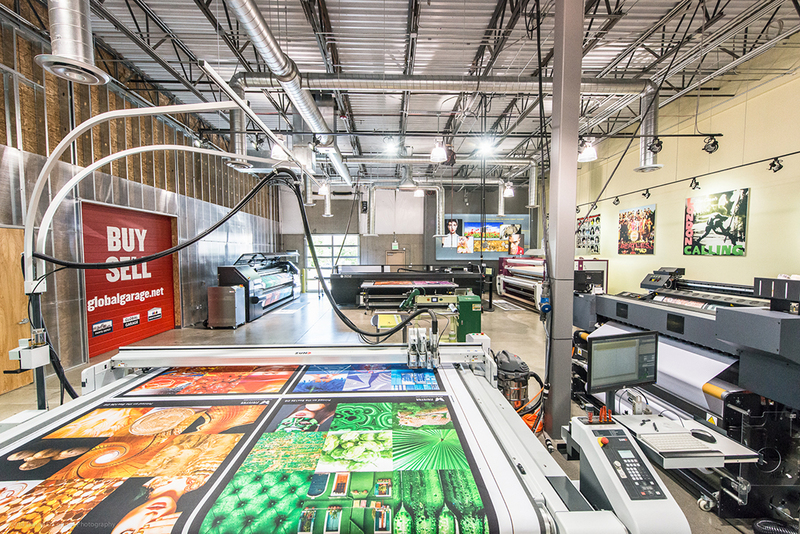 UV is a required component of a successful print shop but as a commonly used technology how do you continue to leverage this technology as a profitable sector of your business? UV has traditionally required trained operators on site at all times. With the higher demands of UV printing it has become important to utilize printers that can offer true unattended print operations. There is still a lot of money to be made in UV, but the demands are driving the big jobs to the big printers with high production and feature rich printers that are in efficient shops who know how to optimize their production. Do you know how to stay competitive in UV? Prepress for Textile — How to make the process easier from start to finish. Without automated cutting, why care about the speed or production ability of anything else? How to avoid the finishing bottleneck and add more profit to your bottom line. We are in an increasingly crowded industry and that may affect margins. How do you stand out and what do you know about the revolution coming in grand format 3D printing? Add Another Dimension with the Z Axis – The world of advertising and marketing is continuing to grow and print shops continue to find ways to help their customers stand out. Brands come to life in the 3rd dimension with ultimate stopping power. Are “3D printers” a printer or a manufacturing tool?